As South Korea becomes more prominent, more and more people are becoming interested in teaching English in Seoul and other major Korean cities. For those teaching English in Asia for the first time, South Korea offers some great benefits. Most positions pay for your airfare and housing, in addition to yearly bonuses (adding up to a month’s salary). While the pay isn’t very high, these and other benefits - in addition to the relatively low cost of living - make South Korea a fantastic place for first time ESL teachers looking to save money and get some teaching experience.It’s also easy to find plenty of job offers on Dave’s ESL Cafe and other similar job boards. The following are some of the more common types of English teaching jobs in South Korea, with some of the benefits and drawbacks of each. One of the most secure teaching jobs in Korea is are public school jobs. These are government programs, and as public service jobs they don’t have some of the same headaches as private institutes (more on this later). It’s very rare that you will be let go in the middle of a contract - even teachers with severe performance issues will just not have their contract renewed. The most well known ways of getting public school jobs in South Korea is EPIK Program (English Program in Korea) - which covers Seoul and most of the rest of the country (though Seoul postings are harder to come by, and I believe are handled by a separate division of EPIK). 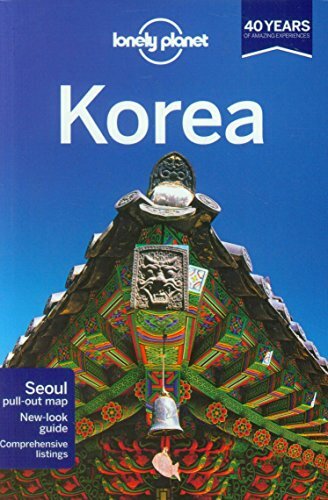 Slightly less known but still reliable is GEPIK (Gyeonggi English Program in Korea) which covers the area surrounding Seoul, consisting of mostly suburb or countryside placements. The only downside with these public school jobs is that you don’t get to choose where you want to go - though you can put down preferences. It used to be the case that some public schools will hire independently - and will have their own job postings online separate from EPIK or GEPIK offers. This is in fact, how I found my first teaching job in South Korea, in a Seoul satellite city one hour east of the capitol. However, with tightening regulations, increased standards, and more of an adherence to strict March and September hiring periods, this is becoming less common. If you are in country you may still be able to find such jobs, however. I had an interview for a Korean public school position in Bundang, which unfortunately I didn’t get - luckily that meant I was available for an After School Program position, which I’ll talk about in a bit. The benefits of public school jobs in Seoul - and other cities - is that you have slightly more job stability, usually a better work environment, and benefits such as nicer housing. .You also don’t have to worry about pay issues and not being paid health insurance - things that some private companies are notorious for. With those issues taken care of, you can focus on saving money and enjoying yourself instead. On the other hand, public schools usually mean bigger classes (sometimes more than 40 Korean students! ), a more conservative workplace environment, and being the only foreigner in the school. Hagwons - which means academy in Korean - are the infamous after school institutes that most school children (and some adults) go to for learning English and other subjects. Hagwons usually offer slightly better pay than public school positions, though you’re more than likely going to work afternoon and evening hours. Given the variety of hagwon jobs available, however, you can work anything from morning shifts, to afternoons, to evenings. Most jobs teaching children English, however, start from 2PM or later. With private companies, you often have more of a say of where you want to go. You’ll also probably be one of many foreigners teaching, which can make the workplace environment more comfortable. On the other hand, some hagwons are notorious for cheating their employees. It’s not uncommon to hear hagwon horror stories about lack of pay, rude management, and disrespectful students who the institute doesn’t let you discipline. In some cases, hagwons will even skip out on paying health insurance. Because they’re a business first and foremost, Korean academies will prioritize keeping the customer (children and their mothers) happy above all else. Though you do often get a better curriculum and materials than working in public schools, financial concerns take more of a priority. Still, a good hagwon can still be an enjoyable experience. Do your research, ask experienced ESL teachers if you know any, and make use of online forums such as Dave’s ESL Cafe, and you should be able to separate the wheat from the chaff. For those who value their free time above all else, teaching English at a Korean University might just be for you. Low hours and long vacations are the main perks of most University teaching jobs in South Korea. Only After School Jobs offer the same low amount of working hours (more on this in a bit). However, Univeresity jobs come with a pay decrease in most cases, as well as loss of certain benefits - such as airfare and housing. While the fringe benefits can be nice, South Korea has a poor reputation for University teaching compared to its Asian neighbors. The qualifications needed - usually a Master’s at the minimum - may be too high for some, considering the lack of pay and the fact that many University ESL classes are glorified conversation courses. Still, if you make the right moves, a University job in South Korea can be a stepping stone to better things - and even if you’re not particularly career minded, at least you’ll have plenty of leisure time for studying Korean and other hobbies. A kind of teaching job unique to South Korea, After School Programs are private companies that enter into contracts with Korean public schools to provide extra ESL classes to students. The biggest benefit of these kinds of jobs is the low hours. I was lucky enough to be hired by one of these companies for my second job in South Korea - in the eastern part of Seoul. I worked on average, 4-5 hours hours a day. Partway through my contract, my schedule changed, and some days I taught as little as two hours. Most After School Programs have you teaching with a Korean teacher present - though I taught my classes solo for the most part. Unfortunately, it’s almost impossible to get hired for after school programs from overseas. They are usually looking for people with transferable work visas, or long term resident visas. Some will pay for a visa run, if you’re already in South Korea but need to get an entirely new visa (this happened in my case). However, if you’re still back home you won’t have much, if any chance of being hired for after school programs. As private positions, they also have a lot of the same downsides of hagwons, listed above. Still I mostly enjoyed my time with my Korean after school program, and would have stayed longer if I didn’t want to focus on other things. Some corporations like to hire English instructors for their employees. Usually this is on a part time basis - however, there are full time positions available as well. Like with Korean after school programs, you usually have to be in country to qualify. Because they are not educational institutions, they can not sponsor a teaching visa for you. Most of the ones I knew of went to those on long term resident visas - such as Korean Americans, or those married to a Korean national. The demand for English education extends to even outside of the classroom. It’s not uncommon for parents to pay big money so their children can have one on one time with a native speaker of English. Adults too, will pay good prices for conversation practice. However the one downside - and it’s a big one - is that private tutoring is illegal for those on work visas. If you are on a resident’s visa (again, overseas Korean, or married to a Korean national), it’s legal as long as you register it and report your income. For long termers and lifers in South Korea, this can be an excellent method for side income. Besides the legal issues, other difficulties including dealing with flaky students, class cancellations, and taking the time to build a solid network of students and recommendations. While the market has seen an increase of new teachers, South Korea still remains an excellent first choice for those who want to teach English in Asia. There are some potential pitfalls, but anyone who’s done their research - and has a decent backup plan - will do just fine. My college had a great program for students who wanted to teach over seas. Some countries are willing to pay Americans a hell of a lot more money than the United States ever would. That's true about public school. You have less control. They place you where you want. EPIK in Korea and JET in Japan are similar that way. You don't get to meet the teachers or see the school before you sign a contract. I taught in both hagwons and a public school. You can avoid problem schools by talking to teachers there and asking them the right questions. After school jobs in a public school are not very common but they can be pretty good.